Taipei, Aug. 12 (CNA) Dozens of people from around Taiwan gathered in Taipei on a sunny morning Tuesday to celebrate the work of a woman who had helped them to their feet and brought light to their world. 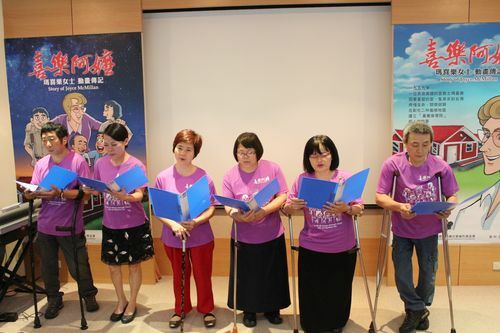 They were attending the premiere of "The Story of Joyce McMillan," a short animated film that brings to life the dedicated efforts of "Grandma Joyce"(喜樂阿嬤), an American nurse and missionary who worked with polio patients in Taiwan for almost half a century. "If it were not for her, I would still be crawling on the floor like a child," said Tseng Chun-yen (曾春燕), one of the women who attended the premiere of the Hokkien (Taiwanese)-language film. Tseng, 53, who is now married and has two children, recalled tearfully how McMillan would carry the young polio patients on her back to her car and drive them to the hospital to see the doctor, even on a typhoon day. 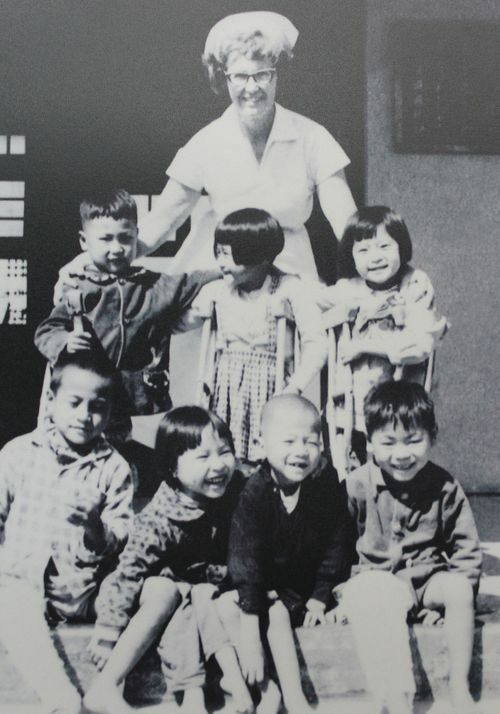 Commissioned by the Joyce McMillan Social Welfare Foundation, the film highlights McMillan's journey from the United States to Taiwan in the 1950s, her efforts to raise money to build a nursing home, her selfless care of polio patients at a time when many Taiwanese people were discriminating against them, her faith in God, and her friendship with the local people. Born in 1914 in a poor farmhouse in the U.S. state of Washington to a veterinarian father and a housewife mother, McMillan was brought up in a pious Christian family and was trained as a nurse. In 1954, McMillan met Taiwanese doctor and pastor Hsieh Wei (謝緯) at a church gathering in San Francisco. The doctor told her about the poor medical conditions in Taiwan and his plans to preach and set up a medical center in Nantou County to treat tuberculosis patients. Moved by the doctor's passion, the 45-year-old McMillan sold her possessions in 1959 and traveled to Taiwan to assist Hsieh. Initially, she worked as a nurse and English teacher in Puli, Nantou, and later established a nursing home to care for children with polio in Erlin, Changhua. 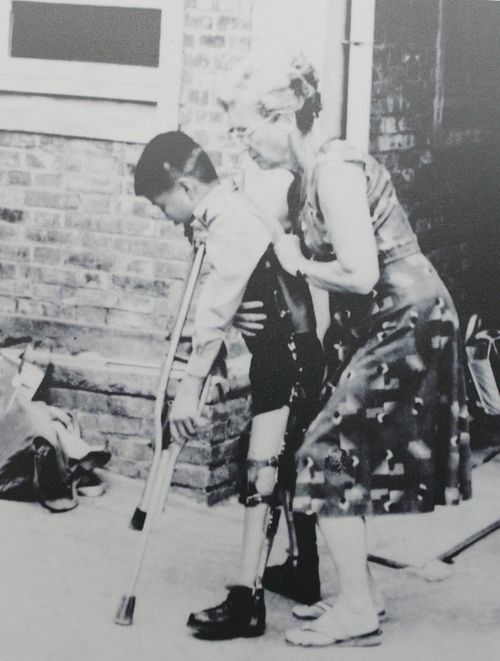 Over the next 48 years, McMillan provided care to 400 children and youth with polio and hundreds of other disabled patients at her Erlin Happy Christian Home. "Every night, Grandma Joyce would patrol all six buildings (at the nursing home) to see if anyone was ill. She went to sleep only after she was sure that all the children were okay," Tsai Shih-kun (蔡石坤), 53, recalled. Alongside McMillan's gentle caring nature was a firm commitment to teaching the children how to survive on their own. "She trained us to become independent," Tseng said. "We had to do our own dishes and laundry. She would tell us, 'you must do this on your own because nobody would help you to do it in the future.'" 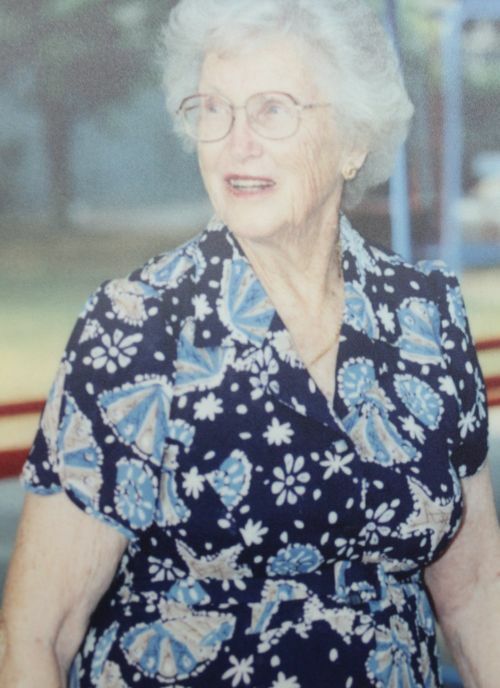 Wu Chin-chin (吳金津), who was a resident of the nursing home during her junior high school years, said that McMillan was a blessing in her life. "She encouraged us to never give up and always try our best," said Wu, who later earned a master's degree at National Taiwan University. At Tuesday's premiere, the former residents of Erlin Happy Christian Home performed a song titled Jen Ai Te Hua (仁愛的花), literally, "a flower of kindness," to express their gratitude for the light and hope McMillan brought to their lives. Composer Chang Chien-yu (張見宇), 47, said the song was inspired by McMillan's kindness. "Very truly I tell you, unless a kernel of wheat falls to the ground and dies, it remains only a single seed. But if it dies, it produces many seeds," Chang said, quoting a Bible verse to describe the legacy of McMillan, who passed away in 2007. "If Grandma Joyce was the kernel of wheat, we are the seeds," he said. Today, the nursing home, which was once funded entirely by donations from the U.S., now houses more than 200 patients with various types of disabilities. In 2011, the Joyce McMillan Social Welfare Foundation was established, providing a range of services to over 2,000 people with disabilities. McMillan's ashes are buried at the Joyce McMillan Memorial Park behind one the buildings of the Erlin Happy Christian Home. But for those whose lives she touched, their memories of her remain as vibrant and comforting as in their youth.